Posted on June 11, 2014 by Warin	in Morgan Freeman, Shawshank, The Shawshank Redemption, Tim Robbins. 20 years in, “The Shawshank Redemption” isn’t just a great film, but one of the few that still generates generous returns for all involved. I saw this article on MSN detailing just how ‘Shawshank’ continues to make money and how some of the actors still get recognized for their roles all these years later. 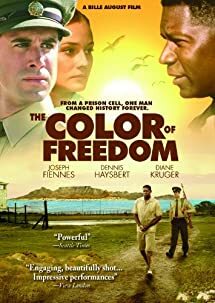 The article goes on to explain how a film like “Shawshank” is a goldmine for film libraries who license movies to television networks. “Shawshank” might be viewed as the rising tide that lifts all boats when it’s packaged with other less desirable films, but yet can still bring back a decent return for the studio. The film has made more than $100 million since its 1994 theatrical release.